West French White Pigs, also known as the white pig of the West was developed in 1958 from the fusion of local types with pigs from Normandy, Craonnaise and Flamandes. West French White Pigs have a good size of up to 430 kgs for adults and standing 1metre high at the shoulder. Sows have fewer piglets, than other breed, but of excellent weight: around 8 piglets of 2kg at birth, and 7kgs by three weeks of age. Plus their meat is delicious and highly sought after for cooked meats by the charcuterie industry. 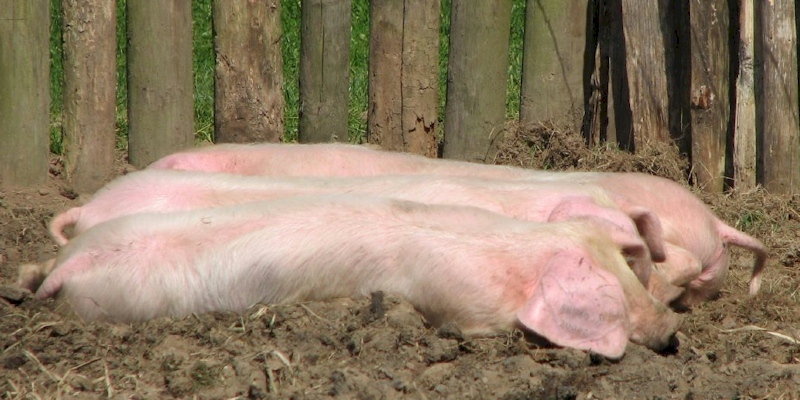 West French White Pigs are being enthusiastically developed in Brittany and Normandy.